Gently settling the flat tines of my garden fork into the mud, I probed through the soft sand for an unyielding surface. Barefoot and wearing a sweatshirt to protect me from the morning breeze, a group of beach enthusiasts and I were learning to find the king of clams: the surf clam, Spisula solidissima. 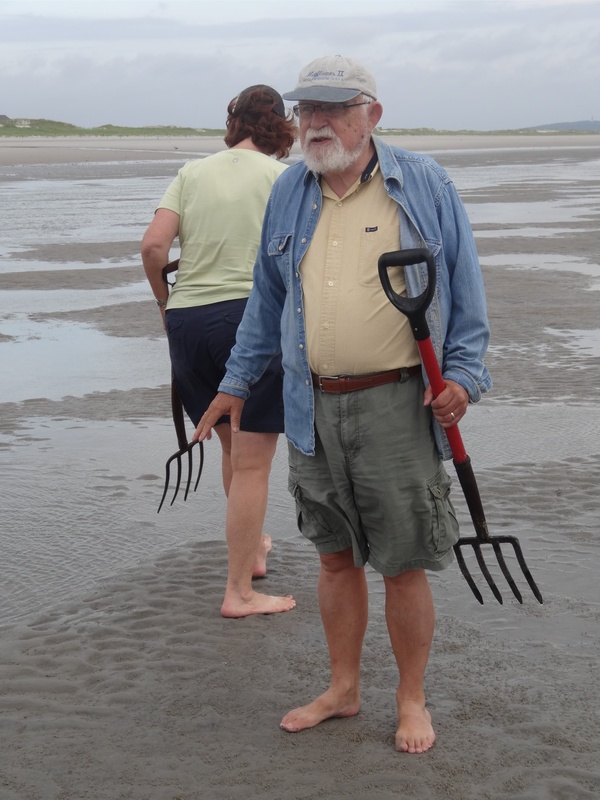 Our guide in this traditional pursuit was Richmond Talbot, a long-time beach cottage owner and bivalve hunter. Our first lesson was about the daily rise and fall of the sea, for where this species lives, the intertidal zone (and into deep water), is only revealed during the lowest tides of the month: the clam tides. Wandering across the wide exposed sand flats, I kept my eyes open for the telltale sign of the giant clam – a breathing hole. 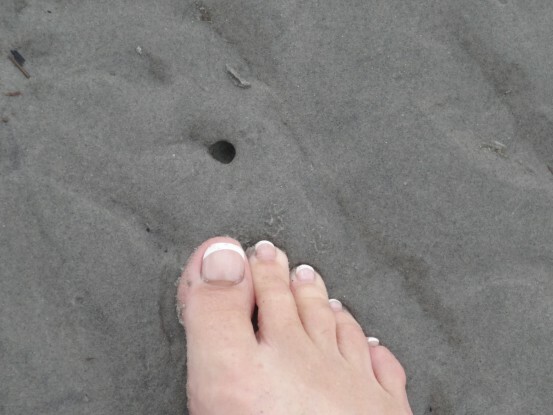 Once found a few gentle pushes with my fork revealed the exact location of the clam, a few inches below the sand’s surface. 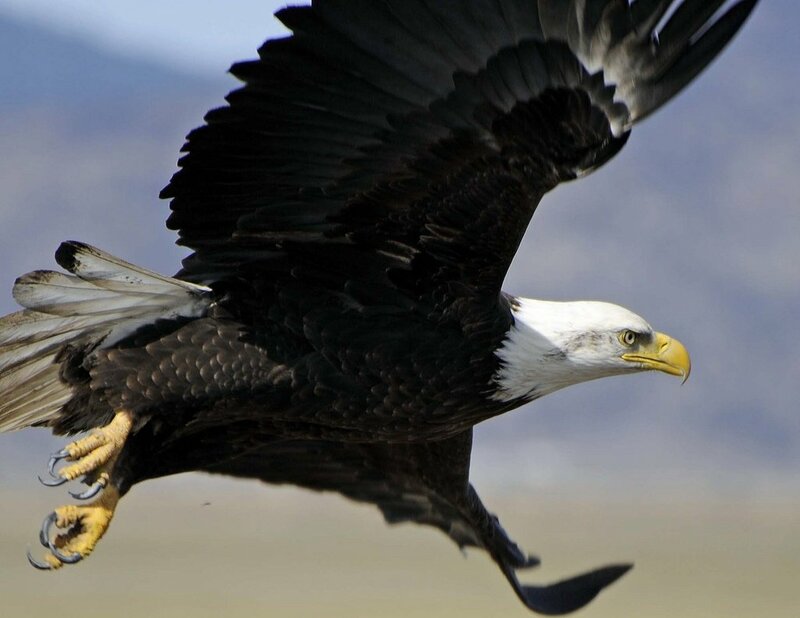 Using a quick prying motion I extricated a voluptuous, clam and triumphantly swooped upon it. I rinsed it off and we all admired its size and plump contours. Together the group dug up dozens of clams in a half an hour or so, feeling the excitement of the hunt and pride in our catches. Then, we lugged the heavy buckets across the long reaches of the sand flats, over the dunes and into our field station where the real work began. A clam has powerful adductor muscles that contract when there is a threat, such as exposure to air or predators. 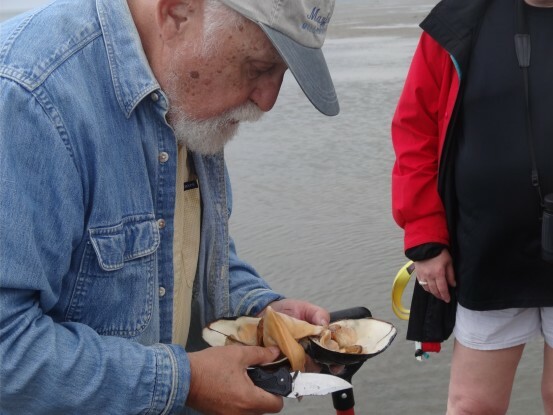 To shuck a clam, we first had to sever these muscles with a sharp knife, which allowed us to open it and harvest the “juice” or salty water retained inside the shell into a pot. With its juice gone and soft insides revealed, we cut out the edible portions – two-thirds of the clam – and discarded the rest. The tastiest portion, the adductor muscles, is a sushi-lover’s delicacy, but the majority of the clam is rubbery and must be either cut into tiny pieces or ground before cooking. We set up an assembly line to shuck the clams and in twenty minutes the messy work was finished and the clam juice filtered to remove any sand. As oil sputtered in a large cast iron frying pan, one of our crew mixed up the simple batter for fritters and added our clam pieces. A few minutes later, we all feasted on the tastiest clam fritters we had ever eaten. Next, we worked on the clam sauce for pasta, sautéing onions, garlic, and minced clam in butter, then, adding clam juice parsley, lemon juice, white wine and salt. After a few minutes of simmering we ladled the sauce on fettuccine al dente and topped it with Parmesan cheese. Accompanied by white wine, we enjoyed this delightful dish, the company of friends and the thought that we were eating what we had just harvested fresh and sustainably from the sea. If you are interested in learning how to clam – finding, shucking and cooking them – sign up for the Goldenrod field trip on August 13. 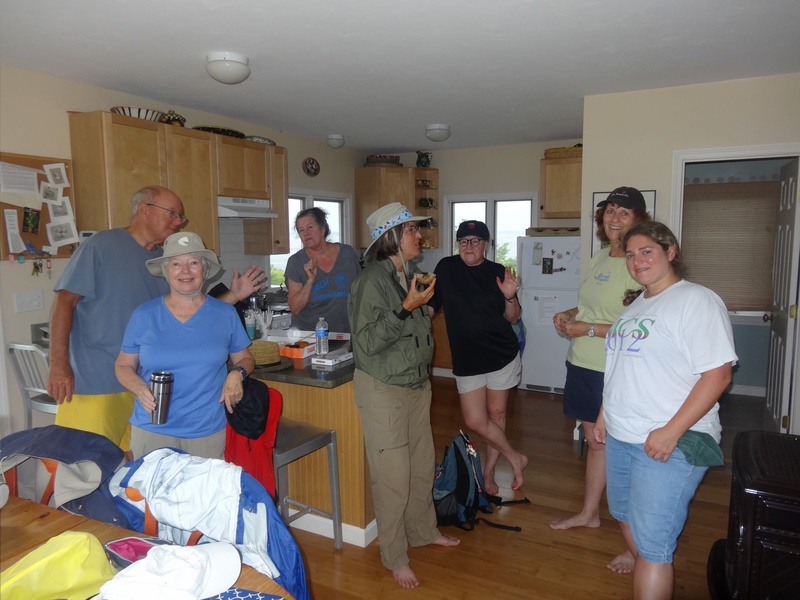 You will also learn about clam ecology, biology and conservation. You must be a Plymouth resident and have a shell-fishing license (free for seniors, $10 for others) available at Town Hall. Click here for more information.